Hi there friends. Today I’m sharing a pretty autumn card featuring some pretty ribbon from Really Reasonable Ribbon. Don’t you just LOVE gorgeous autumn colors? 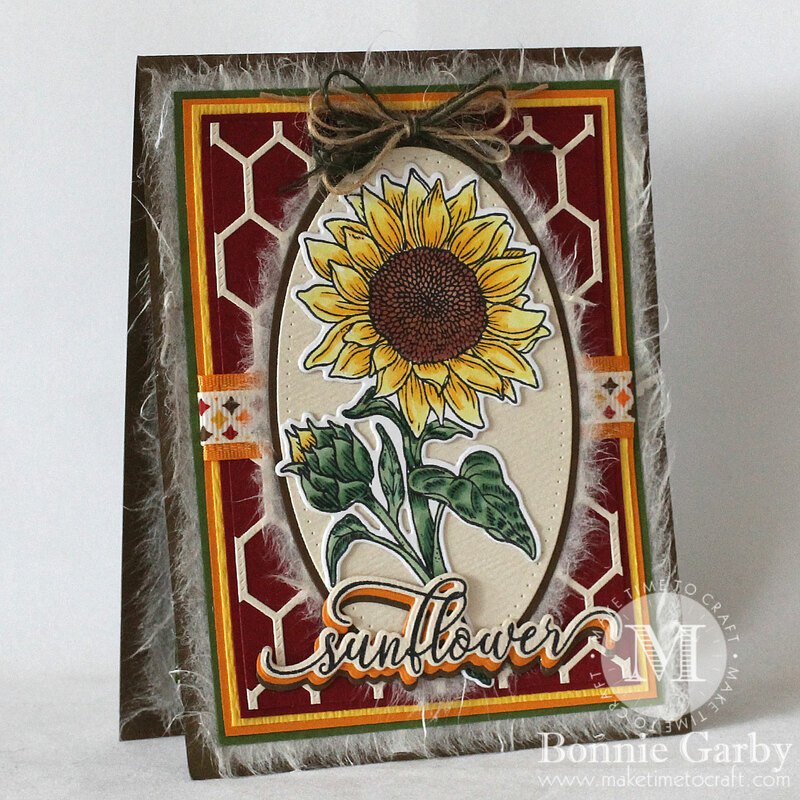 I won this beautiful Stamp Simply Clear Stamps Sunflower Season Garden Flower and Die over on the Word Art Wednesday Challenge blog and I just LOVE IT!! I colored the image with Copic Markers and then it’s just so easy to cut it out with the accompanying die. No more fussy cutting! I specifically created this card to be flat enough for mailing in a regular envelope. Yes, you can add ribbon and a bow and still have it be flat enough. I used my ribbons as a center band under the focal panel and the Burlap String created a bow while still remaining pretty flat. I’m happy to say that it made it to it’s destination in great condition. My bow was created on my Bow it All V3.0 using two colors of Burlap String. For a video tutorial on making a basic bow please click HERE. This is so gorgeous. Wonderful sunflower and so well colored and the background is perfect for it. 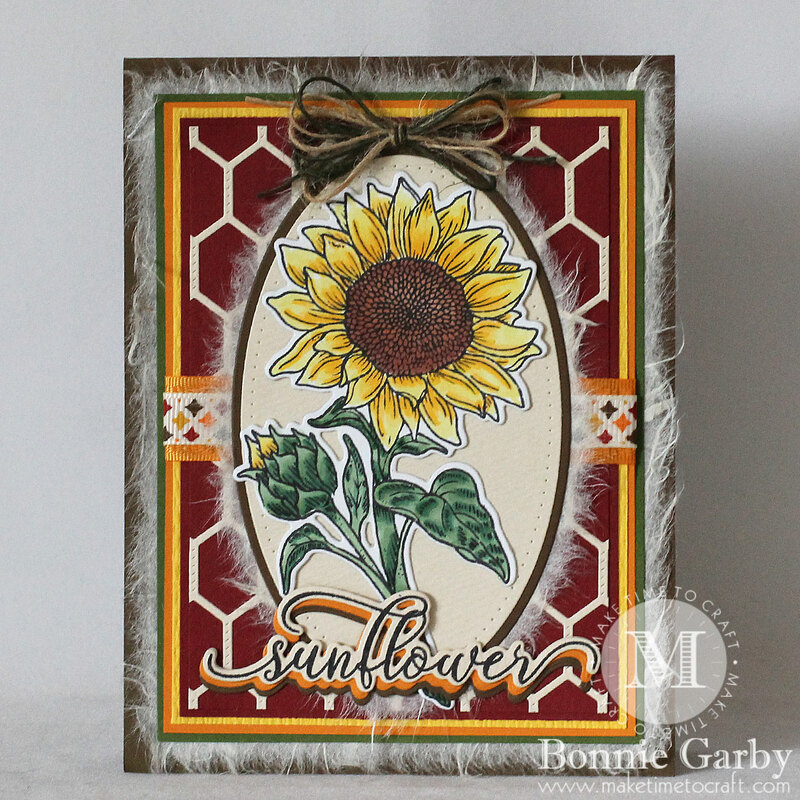 Beautiful sunflower stamp and a lovely design. thank you for playing along at Crafty Catz . What a beautiful card! Thanks for the inspiration. What is the “fuzzy” behind the flower? Really adds texture to the card. Thanks so much Carol. I’m so glad you liked the card. The fuzzy layer is mulberry paper. I have a YouTube video here: https://www.youtube.com/watch?v=lCIFlRxTzPY&t=2s if you would like to see where I get it and how I use it. Happy crafting!! Thank you so much for taking part at Brown Sugar Challenge & good luck in the draw. 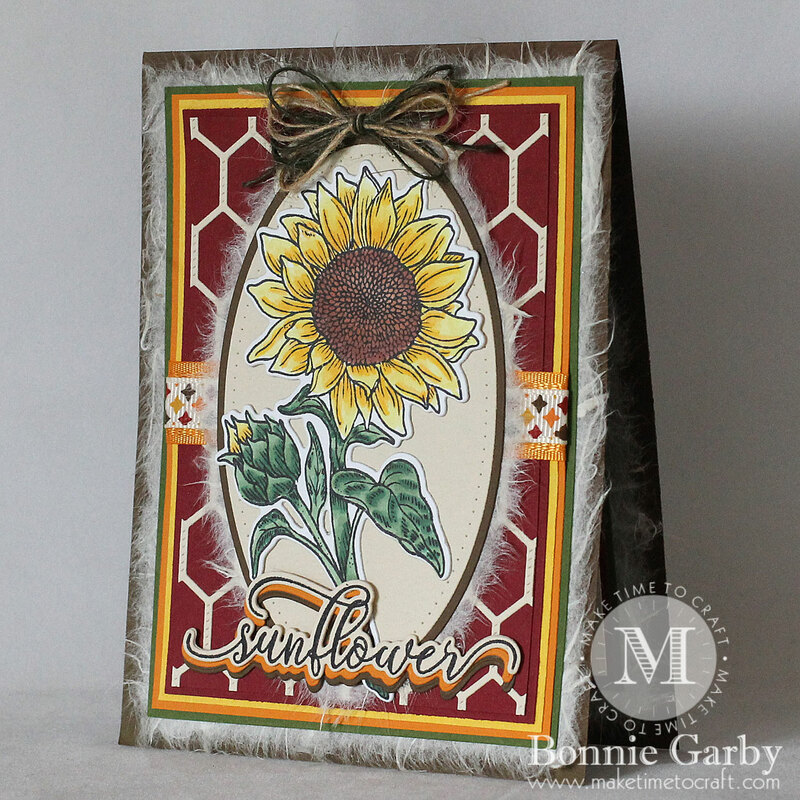 Your card is beautiful and I love the use of the mulberry paper to give that added texture. Gorgeous card! 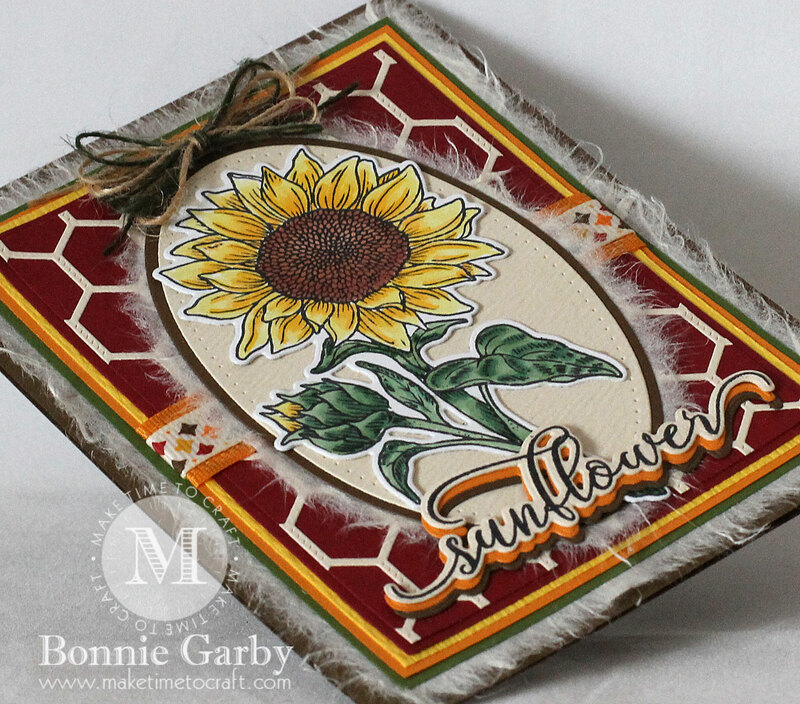 I love the idea using mulberry paper behind the image and pattern paper. 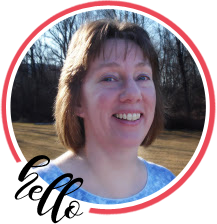 Thank you for sharing bow tutorial and joining Addicted to Stamps challenge.